For the first time the judges have selected two outright winning translators instead of the usual winner and runner-up. Two enticing and finely translated novels, each in their very different way, captured the judges' attention and passion, leading to the decision to share the prize this year. Jonathan Wright for his translation of Azazeel by Youssef Ziedan, published by Atlantic Books. William Maynard Hutchins for his translation of A Land Without Jasmine by Wajdi al-Ahdal, published by Garnet Publishing. The judging panel comprised renowned translator, twice winner and twice runner-up of the prize, Humphrey Davies, playwright Hassan Abdulrazzak and authors Rajeev Balasubramanyam and Meike Ziervogel. They met in December 2013 to select the winning titles from the 21 entries under the chairmanship of prize administrator Paula Johnson of the Society of Authors. "Azazeel - a masterful achievement, deftly capturing the feeling of the original"
Azazeel is an enthralling book. The author, and translator, have evoked, and re-evoked, a time, a region, and people that come alive on the page despite our distance from them. The conflicts of the day between tolerance and anathematization – so reminiscent of those of our own time – are seamlessly embodied in the events. The landscapes appear before us with palpable and luminous physicality and the protagonist's strengths and weaknesses, naiveties and intuitive insights, hesitations and impetuosities combine a character as lifelike and as seemingly familiar as the subject of a Fayoum portrait. The translation is notable for its delicacy and well-judged restraint and deftly captures the feeling of the original. The book's great strength lies in its strangeness, a product of the state of mind of its narrator as he struggles with demonic possession and spiritual angst. In vivid, evocative prose, the author plunges us into fifth century Egypt, rendered three-dimensional and immediate in vivid, evocative prose. Ziedan has given us a story that works seamlessly on so many different levels; historical, theological, spiritual, and as a feverishly absorbing confession. A masterful achievement. A beautifully crafted and evocative tale. Rich in description of the arid Syrian landscape and seeped in early history, Azazeel has been flawlessly translated making this an easily accessible story. "A Land Without Jasmine - A gripping page-turner from a gifted and original storyteller, superbly translated"
This novel deals with many social and political issues such as the sexual repression of males in a conservative society and the corruption of public institutions yet it does so in the guise of a thriller that keeps the reader enthralled. The story is told by several characters whose accounts do not often tally with one another, leaving room for the readers to synthesise their own version of the truth. Altogether a gripping page-turner from a talented writer, superbly translated by William Maynard Hutchins. It is a novel which succeeds in addressing issues of sexual oppression and repression without sacrificing narrative tension. Through its use of multiple perspectives we are given a revealing insight into society, reminding us that no event, or place, has an objective existence or truth. Wajdi al-Ahdal is a gifted and original storyteller. A Land Without Jasmine gives fascinating insight on life in Yemen, with a thriller-like plot that keeps the reader turning the page. In sparse, lucid prose with a tight narrative structure, the author paints a riveting portrait of sexual confusion, frustration and shame. The translation succeeded in creating an enjoyable English read and at the same time preserving the soul of the original. Azazeel is published worldwide by Atlantic Books. UK edition: ISBN 978-1848874299. To buy a copy in the UK click here. International edition: ISBN 978-1848874282. To buy a copy in the USA click here. 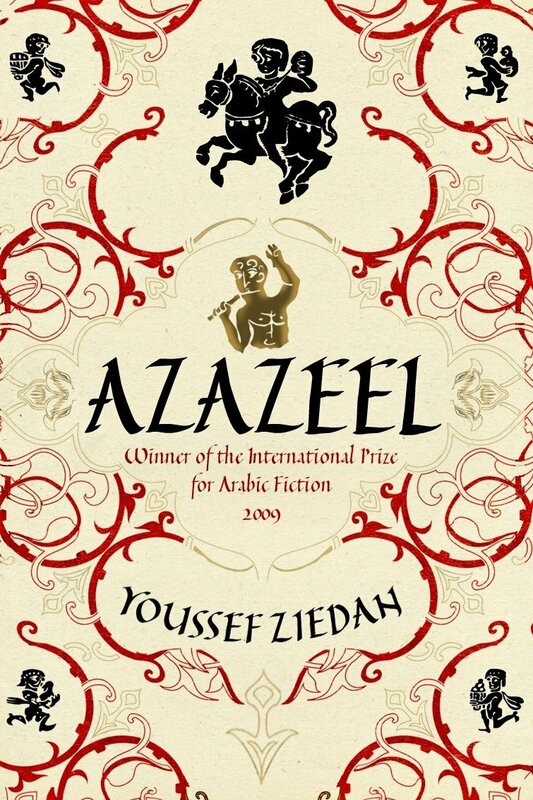 The Arabic original Azazeel won the 2009 International Prize for Arabic Fiction. "Translating Azazeel was a real pleasure, so to win a prize for the task is really the icing on the cake. As I said in my postscript I saw the book piled up on the pavements of Cairo and heard about it by word of mouth. When I read it I knew it should be published in English to reach a wider audience. At the time I had hardly heard of the International Prize for Arabic Fiction and certainly didn't know that the book had been nominated. Unusually for Arabic literature, the book has hardly any Arab characters and is set at a time when Arabic literature didn't exist. That's great. Why should Arabic literature confine itself to its own little world? Why not Arabic literature set in China, in space, anywhere? "In the end this book is Dr Youssef Ziedan's. It's his imagination, his meticulous research, his lucid prose that have made the book such a success. He was also very cooperative with my questions and very patient with the English-language publishers, who sat on it even longer than publishers usually do. "This is my first prize, and I'm very grateful. Those who don't do this kind of work probably don't realise how long it takes, all alone at a desk for hours and days on end, with very little human interaction. So to come out in public every now and then and to be reminded that there is an appreciative readership helps to make it all worthwhile. Thank you." Between 2008 and 2011 he was the managing editor of Arab Media and Society, an online academic journal run by the AUC (American University in Cairo). He has contributed to a number of recent academic gatherings on the subject of the Arab uprisings and Egyptian revolution. He has translated a number of novels from Arabic to English: Khaled el-Khamissi's Taxi (Aflame Books, 2008, and Bloomsbury Qatar Foundation Publishing); Hassan Blasim's short story collection The Madman of Freedom Square (Comma Press, 2009); The State of Egypt, a collection of essays and articles by Alaa el-Aswany (AUC Press, 2011); Judgement Day by Rasha al-Ameer (AUC Press, 2012); Life on Hold by Fahd al-Atiq (AUC Press, 2012); the Saif Ghobash Banipal Prizewinning Azazeel by Youssef Ziedan (Atlantic Books, 2012); The Iraqi Christ by Hassan Blasim (Comma Press, 2013); Whatever Happened to the Egyptian Revolution by Galal Amin (AUC Press, 2013); and Sleepwalkers by Said Makkawi (to be published by Dar el-Shorouk). Two of his most recent translations will be published in 2014: Bahaa Abdelmegid's Temple Bar (AUC Press) and Land of No Rain by Amjad Nasser (Bloomsbury Qatar Foundation Publishing). Jonathan Wright currently lives in London. Youssef Ziedan was born in Suhag, Egypt. He is Professor of Islamic Philosophy and History of the Sciences, and Director of the Centre for Manuscripts and of the Museum of Manuscripts at the Library of Alexandria. In addition to his novels, Zill al-Af'a (The Serpent's Shadow) and Azazeel (Azazeel), he has written works on literary criticism and edited texts of Sufi literature in verse and prose. 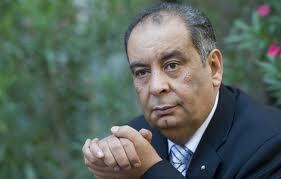 As a well-known researcher on Arab cultural heritage he has published fifty-four books. Azazeel, Ziedan's second novel, which won the 2009 International Prize for Arabic Fiction (the "Arabic Booker"), draws on his deep interest in ancient manuscripts and scrolls. A Land Without Jasmine, ISBN: 9781859643105, is published by Garnet Publishing. To buy a copy in the UK click here. To buy a copy in the USA click here. William M Hutchins is a professor in the Philosophy & Religion Department of Appalachian State University in Boone, North Carolina, USA. He began learning Arabic while teaching at the Gerard School for Boys in Sidon, Lebanon. He studied at Berea, Yale and the University of Chicago, and began translating Arabic literature as a postgraduate student, starting with some of the epistles of al-Jahiz (Peter Lang). During his time teaching at the University of Ghana in Legon he began translating the plays of Tawfiq al-Hakim, and later published a two-volume collection (published by Three Continents Press). 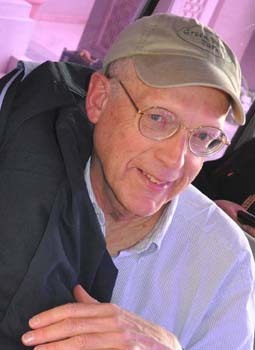 He was awarded a National Endowment for the Arts grant for Literary Translation in 2005-6 for his translation of The Seven Veils of Seth by the Libyan Tuareg author Ibrahim al-Koni (Garnet Publishing) and a second one in 2012 for New Waw, also by al-Koni (Center for Middle Eastern Studies, University of Texas, January 2014). His translations of Arabic novels include Palace Walk, Palace of Desire, Sugar Street, and Cairo Modern by Nobel Laureate Naguib Mahfouz (Anchor Books); Basrayatha: Portrait of a City by Muhammad Khudayyir (Verso, 2007); The Last of the Angels (Free Press, 2007), Cell Block 5 (Arabia Books, 2008) and The Traveler and the Innkeeper (AUC Press, 2011) all by Fadhil al-Azzawi; Return to Dar al-Basha by Hassan Nasr (Syracuse University Press); Anubis (AUC Press, 2005) and The Puppet (University of Texas, 2010) both by Ibrahim al-Koni. His recent translations are The Diesel by Thani al-Suwaidi (ANTIBOOKCLUB, 2012), a revision of his translation of Return of the Spirit by Tawfiq al-Hakim (Lynne Rienner), The Grub Hunter by Amir Tag Elsir (Pearson African Writers Series, 2012), and his 2013 Saif Ghobash Banipal Prizewinning translation of A Land Without Jasmine by Wajdi al-Ahdal (Garnet, 2012). His translations have appeared on wordswithoutborders.org and brooklynrail.org and in Banipal Magazine of Modern Arab Literature. Wajdi al-Ahdal is a Yemeni novelist, short story writer and playwright, famous for his controversial works, some of which have been banned in Yemen. At one point he was forced to leave Yemen for a period of time. 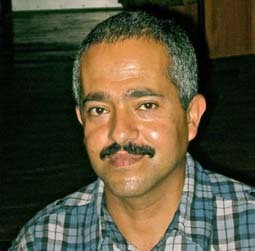 He has won a number of Yemeni literary prizes and has published four collections of short stories, four novels, a play and a film screenplay. He was selected as one of the "Beirut39", the Hay Festival project to promote the 39 best young Arab authors under the age of 40. 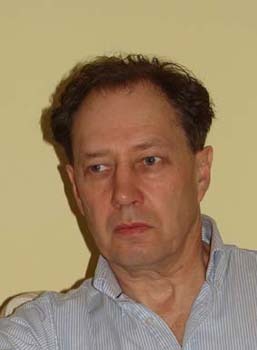 He has attended writing workshops in both the USA and the UAE. One of his novels, as yet not translated, Mountainous Boats (Qawabib Jabailyyah), was reviewed in Banipal 19.